Barça Lassa 67-65 Kirolbet Baskonia: Right back in it! On Sunday at the Palau, Barça Lassa will have the chance to take the Liga Endesa final series into a fifth and decisive encounter after defeating Kirolbet Baskonia 67-65 in a gripping game three on Friday night. The second half produced some especially high quality hoops, with Ante Tomic leading FCB scoring with 15 points. 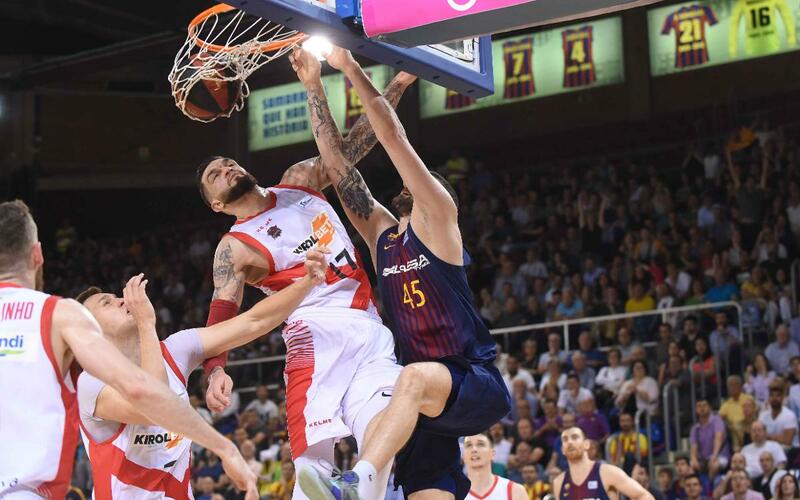 Barça dominated early on, but 3-pointers kept Baskonia in touch, and one of those from Beaubois meant the first period ended with the visitors a point ahead (18-19). The Basques extended that lead to five, but greater defensive intensity clawed Barça back into it and there were just two points separating the sides at the break (31-33). Points were exchanged as the third period progressed with no clear dominating force, but that was when Adam Hanga upped the ante with a rapid supply of assists and scores, and Barça led by two going into the final ten minutes (47-45). Both the Barça Lassa offence and defence got almost everything right in the last period, and key turnovers masterminded by Hanga and Heurtel made sure of victory. Game four is back at the Palau on Sunday at 6.30pm CET. It’s going to be a corker – make sure you’re watching!